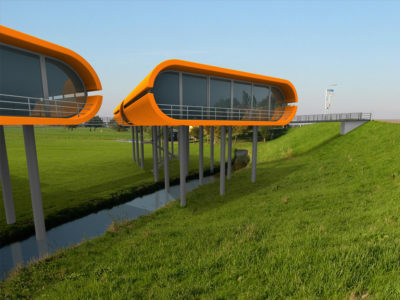 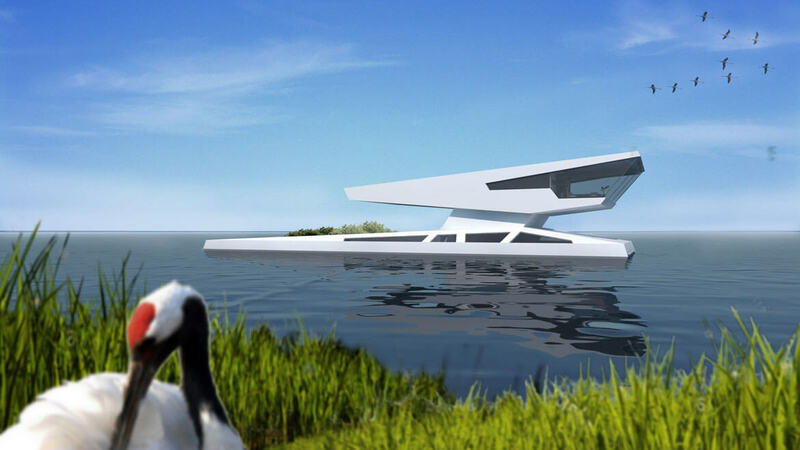 This floating villa is an abstract version of a Chinese dragon. 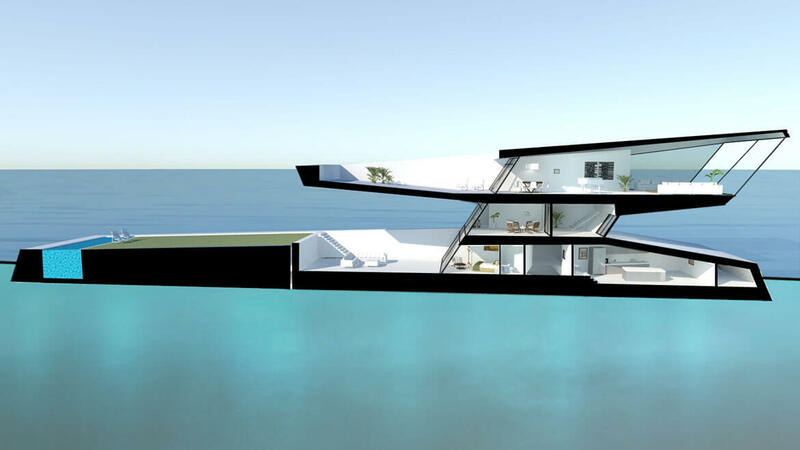 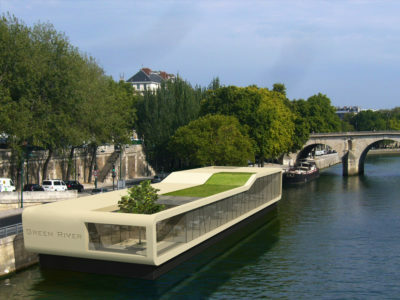 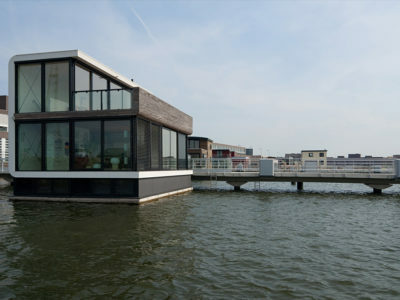 The luxurious floating villa has different terraces. 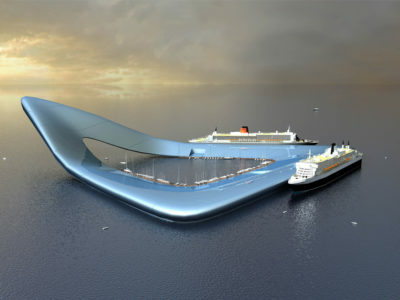 The primer terrace has a big pool.